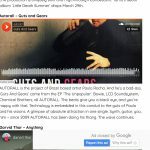 American Blog Obscure Sound has just published an article saying pretty nice things about Autorall and the track “Lust of the Mind”. 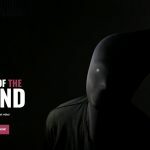 Autorall is an artist from Brazil who excels in a stylistic hybrid of rock and electro, evidenced by the use of guitar and synth arpeggios in his track “Lust of the Mind”. Santos(Brazil)-based artist Paulo Rocha a.k.a Prox heads the project, his engaging style accompanied by interesting lyrical content. 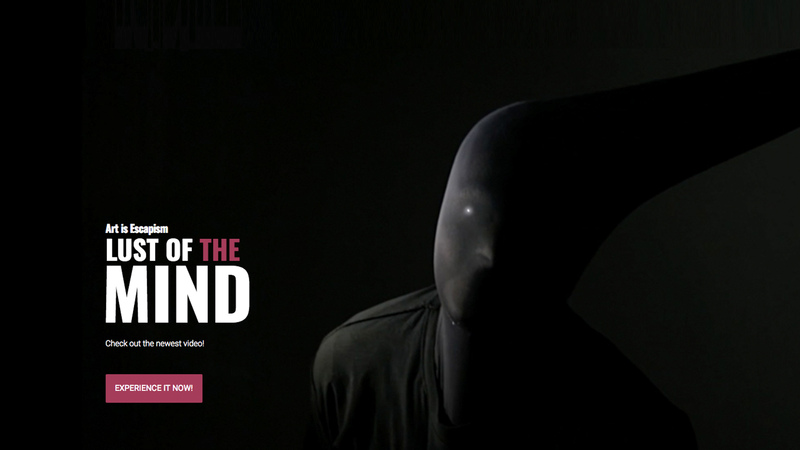 Per Paulo, the track’s lyrics “refer to the paradox of freedom and discipline: men is no more than “a natural-born-thinker mixed with boiling instincts” — the latter a repeating lyric from the track. 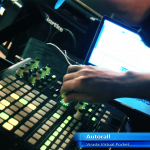 He describes the approach as “an electro-rock blend: synths, grooves, guitars with a bit of an industrial taste.” In that, Autorall succeeds notably. In 2012, Autorall’s first EP ‘Shake The Paranoia’ was released on LBA Records, a label based in Los Angeles, city to which he moved and lived for 2 years, performing at many expressive clubs of the Californian independent scene, such as Silverlake Lounge, Whisky A Go-Go, The Goodhurt, Five Star Bar among others. Autorall é um artista brasileiro que se destaca com um híbrido estilístico de rock e electro, evidenciado pelo uso de arpejos de guitarras e sintetizadores em sua faixa “Lust of the Mind”. O artista de Santos (Brasil) Paulo Rocha a.k.a Prox lidera o projeto, seu estilo envolvente acompanhado por conteúdo lírico interessante. Segundo Paulo, a letra da faixa “refere-se ao paradoxo da liberdade e da disciplina: os homens não são mais do que“ pensadores por natureza, misturados com instintos em ebulição ”- este último uma frase que se repete na música. No processo criativo da faixa, Paulo usou uma mistura de reprodução natural e tecnologia. “Esse foi um jogo emocionante entre mim e o computador: gravei cada riff no baixo e depois o transformei em notas midi, usando o recurso de um software (Ableton Live)”, explica ele. 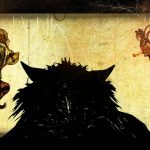 “Embora seja um algoritmo bastante avançado, o software nunca traduz o mesmo que o original, portanto, ele sempre respondia com uma abordagem similar e interessante”. Ele descreve a abordagem como “uma mistura de electro-rock: sintetizadores, grooves e guitarras, com uma pitada de industrial”. Nesse sentido, o Autorall consegue atingir seu objetivo notavelmente. Lust of the Mind (LIVE!) 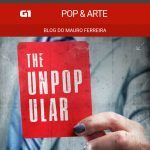 at Virada Virtual G1/GLOBO article on The Unpopular release!